Christmas TV ads arrive. Social video-fest remains at the North Pole, for now. Carved pumpkins were still peering out of the nation’s kitchens and Wales was enjoying a 22 degree heatwave, but ASDA and Lidl went early for Christmas this year. 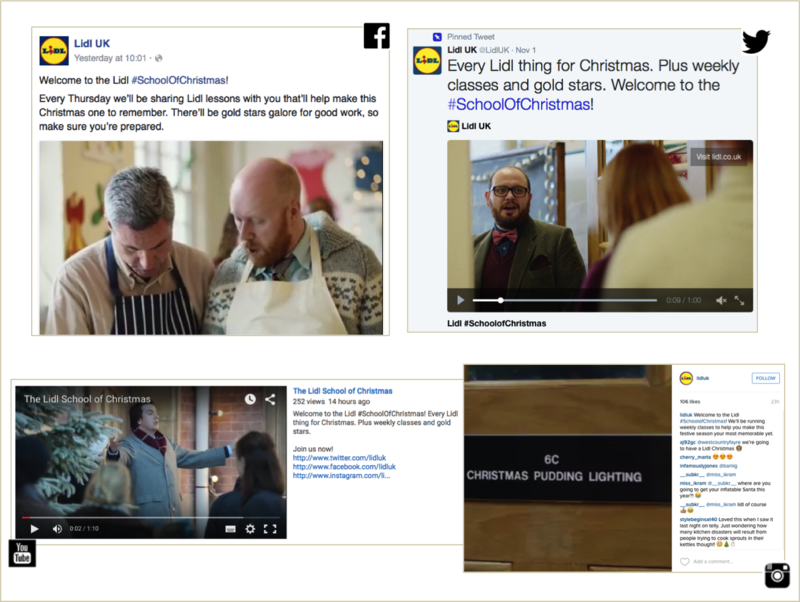 Stealing a march on the traditional heavy weights of Christmas ads (John Lewis, Sainsbury’s, Tesco et al) they‘ve of course used social media to support their TV adverts. Quick caveats: we obviously can’t see how much media spend has been allocated, and Facebook views will usually be higher than YouTube (based on what constitutes a view). So we’re more interested in the where and what, not how many. Numbers as at 11am, 2nd November. The one with funny Christmas moments and a pug dressed as Santa. Twitter: no videos on their timeline, just a link out to YouTube. 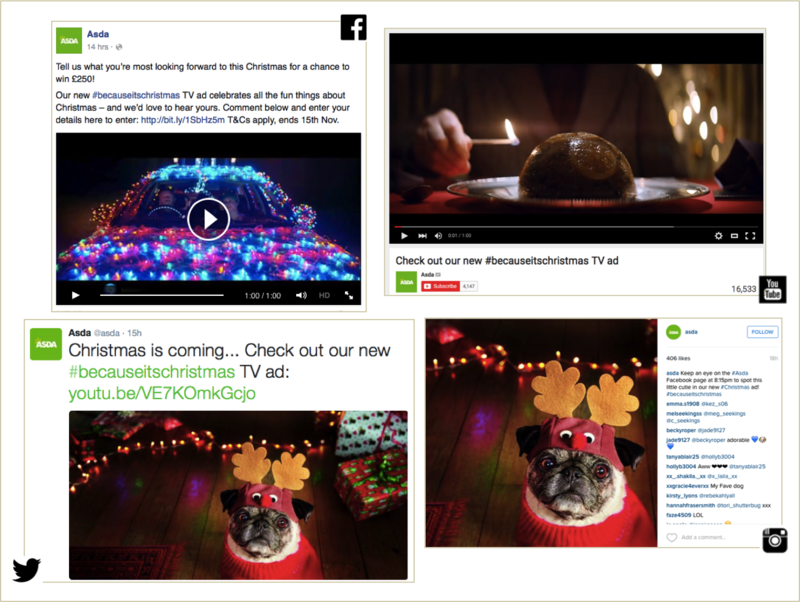 Promoted trend #BecauseItsChristmas used on 1st Nov.
Instagram: just one photo of the aforementioned pug, encouraging followers to keep an eye on Facebook for the film launch. At this stage the social networks are being used almost exclusively to amplify the main TV ad, with (it appears) the most media investment on Facebook. Given that a promoted trend was used on Twitter, it’s interesting that there’s no video on the @ASDA timeline (of course video may have been used extensively across paid-only “dark” tweets). The one with the school teaching people how to make Christmas go perfectly. Twitter: the full ad is posted, again with a little hint at what’s to follow in the coming weeks (which they’ve also pinned). Promoted trend #SchoolofChristmas used 2nd Nov.
Like ASDA, at this stage it’s very much an amplification exercise, but the extended edits on YouTube suggest lots more to come.